In 2013, about 40 vehicles crashed on I-70 near Indianapolis, Indiana, when snow squalls kicked up one January afternoon, making the pavement slick and visibility poor. Cars and trucks blocked the interstate in both directions when emergency responders arrived. The crews, trained in traffic incident management techniques, worked efficiently to clear the scene. They cooperated on a decision to move vehicles to a staging area off the interstate for further investigation. One towing company acted as incident commander for all towing agencies. The interstate was reopened to traffic within seven hours. The incident might have caused another six hours of road closure time if responders had not used techniques they learned in the second Strategic Highway Research Program’s national traffic incident management responder training course. The Federal Highway Administration deployed the training during the second round of Every Day Counts. The training for first responders—including police, firefighters, towing operators, medical personnel and transportation agency staff—focuses on safe, quick clearance at incident scenes that protects motorists and responders while minimizing the impact on traffic flow. Traffic incidents put motorists and responders’ lives at risk and account for about 25 percent of all traffic delays. Congestion from incidents can generate secondary crashes, further increasing risk and delays and interrupting freight movement. Developing a cadre of well-trained responders can reduce the time it takes to clear incidents, saving lives, money and time. During EDC-2, FHWA offered a train-the-trainer course for experienced incident responders that equips them to train other responders. Participants gave the course high marks, with about 98 percent of the nearly 3,600 who completed a course evaluation responding positively to the overall training and content. By the end of 2014, 139 train-the-trainer sessions educated 5,589 responders who, in turn, instructed more than 80,700 responders in best practices for clearing crashes. 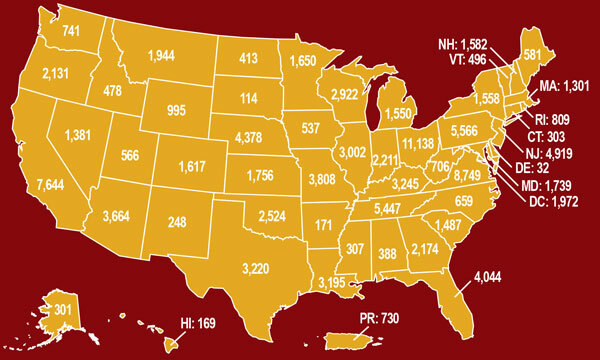 The number trained is now nearly 114,000. “At least 10 public safety academies for fire and law enforcement personnel adopted the traffic incident management training program in 2014. The training has been a catalyst for new relationships among emergency response disciplines at the national and local levels, and responders and motorists are now safer because of this effort,” said Paul Jodoin, FHWA transportation specialist and Traffic Incident Management Responder Training Team member. Among the states that have made training in traffic incident management techniques a priority is Ohio, where the transportation department and state highway patrol have trained more than 11,000 responders. Ohio’s training push has touched the entire responder community, from law enforcement and fire to towing and public works. In one case, a crash in Mansfield requiring a medical helicopter closed I-71 for only 20 minutes because crews had learned quick response techniques. First responders in other states also have traffic incident management success stories to tell. Nearly 114,000 people have been trained through the national traffic incident responder training course. In Oregon, for example, where more than 2,000 responders have undergone training, interagency communication and coordination enabled responders to restore traffic less than 90 minutes after a dump truck spilled a load of gravel across both northbound lanes of I-5. When the gravel spewed across the interstate, three secondary crashes occurred almost immediately. Oregon State Police relayed information to the Oregon Department of Transportation on the equipment needed to remove the debris. An Oregon DOT incident response vehicle quickly established a lane closure and set up advance warning for motorists. A maintenance crew arrived with a grader, broom trucks and blowers to move the debris to the shoulder. Without enhanced collaboration, the incident could have taken two to three hours to clear. A key training goal is responder safety, which paid off in Massachusetts, where more than 1,300 responders have been trained. After Captain Jason Cavallaro of the Hanover Fire Department attended a train-the-trainer session, he added traffic incident management to the department’s training program. The crash put the fire truck out of service, but a firefighter on board and the two occupants of the vehicle that struck the engine experienced only minor injuries. “The firefighters credited the traffic incident management training for the outcome of the incident,” Cavallaro said. Arizona DOT staff used traffic incident management techniques when they encountered a crash on their way back from a training class. In Arizona, where close to 3,700 responders have been trained, clearance times for noninjury crashes improved by 52 percent after responders applied lessons learned through the traffic incident management program. In one case, the opportunity came quickly for trainees who had just finished the course. The two—members of the Arizona Department of Transportation Enforcement and Compliance Division—were traveling on I-15 near Mesquite, Nevada, when they witnessed a crash involving a car and tractor-trailer. Using what they had learned, they created a safety zone around the two vehicles to keep a lane open down the middle of the highway. Minutes later, the Nevada Highway Patrol arrived and shut down the highway to southbound traffic. When emergency medical responders arrived, they parked just in front of the injured parties, a best practice from the course the Arizona DOT staff shared before they left the scene. For drivers, orange cones are both a sign of tax dollars at work and a source of traffic backups. Work zones account for 24 percent of nonrecurring traffic delays and 10 percent of all congestion. Work zone-related injuries occur every 14 minutes and fatalities every 15 hours. Smarter work zones that use traffic management strategies to optimize safety and mobility play a key role in ensuring motorist and worker safety and cutting traffic delays. They also help maintain access to residences and businesses and get road work done on time. Through Every Day Counts, the Federal Highway Administration is encouraging adoption of two smarter work zone approaches: road project coordination to minimize the impact of work zones and technology applications to reduce crashes and delays. Road project coordination involves smarter construction planning that minimizes work zone impacts and generates time and cost savings. Cities and regions are combining multiple projects in a corridor, correlating right-of-way acquisition and utility work, and synchronizing work among transportation agencies. “Project coordination involves working within an agency, but also reaching outside to other agencies, utility contractors and developers,” said W.D. Baldwin, associate vice president of HDR Inc. and a member of the EDC Smarter Work Zones Innovation Deployment Team. Among the benefits of project coordination are fewer work zones, greater ability to reduce and manage traffic disruptions from road work, better-quality road surfaces, cost savings and more satisfied customers. Technology applications such as queue and speed management involve using intelligent transportation systems to manage work zone traffic. Queue management systems alert drivers to work zone backups so they can slow down safely. Speed management solutions such as variable speed limit signs dynamically manage work zone traffic in real time. Benefits of combining queue and speed management technologies include raising driver awareness of work zones ahead, providing delay and routing information to facilitate trip planning, offering dynamic guidance to improve driver responsiveness to traffic pattern changes and increasing compliance with speed limits. The Michigan Department of Transportation set up the I-94 Corridor Operation Partnership to coordinate projects on the interstate across southern Michigan. Department leadership decided things needed to change when 19 projects were underway on the 275-mile corridor at once in 2010, creating the potential for multiple delays for drivers traversing the entire route. Partnership members used a model to predict travel-time delay for individual projects, set a maximum delay of 40 minutes for the entire corridor and adjusted project schedules to keep delays below that threshold. They set user delay performance measures for projects to incorporate into the public Transportation Scorecard that tracks the department’s performance in achieving transportation-related goals. They also scheduled maintenance-of-traffic huddles, weekly meetings of maintenance, operation, construction and permitting staff to discuss ways to collaborate on projects to minimize delays across the region. As a result of the partnership’s efforts, project scheduling improved, construction and design staff worked together to accelerate construction and minimize delays, and the agency scheduled more work during off-peak travel times. In Massachusetts, technology applications helped mitigate the traffic impacts of a project to rehabilitate the Callahan Tunnel, which carries 30,000 vehicles a day in Boston, many during the evening rush. The Massachusetts Department of Transportation decided to shut down the tunnel from December 2013 to March 2014 to do the work. Because the project affected traffic bound for Logan International Airport, East Boston and the North Shore, the Massachusetts DOT set up three alternate routes to give drivers options. Using real-time data from ITS infrastructure, the agency worked with the state police to monitor conditions during evening peak travel times and used message boards to notify motorists of delays and guide them to the best travel routes. Transportation departments are using smarter work zone strategies to enhance safety and reduce traffic delays. The Smarter Work Zones Innovation Deployment Team offers technical assistance and training, including Web conferences, workshops and peer exchanges. For help, contact team leaders Paul Pisano and Jawad Paracha of the FHWA Office of Operations. View Smarter Work Zones, an EDC presentation on project coordination and technology application strategies and case studies. See FHWA’s Work Zone Project Coordination page for examples of how cities and regions have collaborated on projects. Learn about WISE: Work Zone Impacts and Strategies Estimator software, a second Strategic Highway Research Program product that helps planners and engineers reduce work zone impacts. See FHWA’s Work Zone ITS and Technology page for information on using various types of ITS in work zones. Read FHWA’s Work Zone Intelligent Transportation Systems Implementation Guide for key steps in deploying ITS in work zones and Mitigating Work Zone Safety and Mobility Challenges Through Intelligent Transportation Systems for case studies on how agencies are using ITS in work zones. State Transportation Innovation Councils work to mainstream innovation, and their approaches are as different as the states they represent. Innovation leaders in two states—Arizona and Vermont—talked about how their STICs strategically advance innovation during a national webcast in April. “They’re terrific examples of what we had in mind when we created Every Day Counts as a state-based initiative,” said Federal Highway Acting Administrator Gregory Nadeau. Forty-six STICs are up and running, and the remaining states are using or developing other forums for implementing innovation. “We now have a national network to share lessons learned and exchange best practices for deploying innovation,” Nadeau said. Dallas Hammit, Arizona Department of Transportation deputy director and state engineer, discussed the Arizona Council for Transportation Innovation, which focuses on building an innovative culture in the state’s highway community. One way is through its Innovation Exchange series, a campaign that won an Innovative Transportation Solutions Award from the WTS Metropolitan Phoenix Chapter. Innovation Exchanges in 2014 covered topics such as accelerated bridge construction and design-build contracting. They were held in Phoenix and webcast throughout the state to encourage broad participation. In 2015, the forums are moving to other locations, starting with an exchange in Prescott on bundling smaller projects, using innovative funding mechanisms, streamlining environmental compliance and simplifying procurement. Richard Tetreault, Vermont Agency of Transportation chief engineer and Highway Division director, talked about the Vermont STIC’s comprehensive approach to innovation deployment. The group considers all sources of innovation and takes advantage of a variety of resources, including the second Strategic Highway Research Program Implementation Assistance, STIC Incentive and Accelerated Innovation Deployment Demonstration programs. The group holds monthly meetings for executive members so they can track the many innovative efforts the STIC is pursuing. A larger annual meeting draws participants from local, state and federal agencies as well as contractors, consultants and academics. “We’ve really embraced what EDC has to offer and the format of the STIC is serving us well,” Tetreault said. Hari Kalla, former director of FHWA’s Center for Accelerating Innovation and now director of the Office of Asset Management, Pavements and Construction, reviewed deployment progress on the 13 innovations in EDC’s second round. The results are in the EDC-2 final report, Every Day Counts: Building a Culture of Innovation for the 21st Century. Kalla also discussed the baseline report on the 11 innovations in EDC-3, Every Day Counts: Creating Efficiency Through Technology and Collaboration. The report outlines the goals states set to broaden adoption of the innovations by the end of 2016. By May, 12 STICs received $994,200 in 2015 STIC Incentive funds for projects to mainstream innovation use. Last year, 36 STICs used more than $3.5 million in incentives. Twenty-nine entities have benefited from more than $20 million in AID Demonstration awards since February 2014. Departments of transportation build hundreds of projects near railroad rights-of-way each year. As rail traffic surges, the need for project coordination between highway agencies and railroads will only increase. Taylor leads the Every Day Counts Improving DOT and Railroad Coordination Innovation Deployment Team, which encourages agencies and railroads to identify issues and negotiate agreements to expedite development of highway projects. The team also promotes streamlined processes and best practices. The EDC effort uses a model agreement library, tools and training developed under the second Strategic Highway Research Program R16 project, which enables agencies and railroads to identify sources of conflict and develop memorandums of understanding for project and program needs. “It’s a proven, market-ready innovation,” Taylor said. State DOTs, railroads, the Federal Railroad Administration, the American Association of Railroads and the American Railroad Engineering and Maintenance Association helped develop the R16 tools and agreements. Cementing mutual understanding and streamlining processes will save money and time for highway agencies and railroads, Taylor said, and road users will see the positive results of faster, smarter highway renewal in facilities and budgets. Several DOTs now use model agreements in their coordination efforts with railroads. For example, a memorandum of understanding and master agreement between the Colorado Department of Transportation and the Burlington Northern Santa Fe Railroad incorporated a number of model components. Coordination between railroads and transportation departments can expedite highway project delivery. The North Carolina Department of Transportation has used master right-of-entry agreements with CSX for routine activities to streamline access to rights-of-way. And the Texas Department of Transportation is developing a reverse master agreement with Union Pacific to expedite agreements when the railroad needs access for expansion. Best practices DOTs are adopting include streamlined internal and external coordination, dedicated railroad project managers, better and more frequent communication, improved flagging processes and expedited right-of-way access. Agencies are finding that even as simple an idea as establishing a single point of first contact for projects involving highways and railroads can make a difference. When the Michigan Department of Transportation reorganized in 2010, it combined all staff involved in railroad functions in an Office of Rail. That meant Bradley Wieferich, now Michigan DOT engineer of design, could go to one place with railroad-related questions as he designed highway projects for the agency. A suite of tools helps transportation agencies and railroads identify and work through or avoid sources of conflict. Memorandums of understanding developed for project and program needs can help projects go faster. Fewer delays while waiting for reviews and agreements means fewer increases in costs. 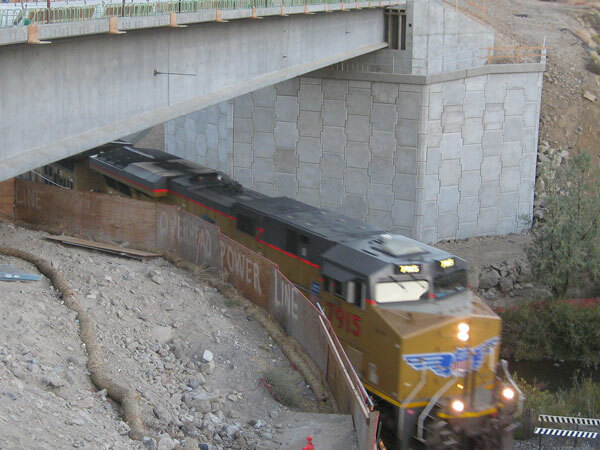 View Railroad-DOT Mitigation Strategies, a webinar on the SHRP 2 R16 project and the tools available to help agencies and railroads work together on projects. View Railroad Coordination and Certification Requirements, a Federal-Aid Essentials video for local agencies on coordinating with railroads to avoid unnecessary project delays and costs. Read Strategies for Improving the Project Agreement Process Between Highway Agencies and Railroads, SHRP 2 report S2-R16-RR-1, for recommended practices, streamlined permitting processes and model agreements. The Federal Highway Administration, U.S. Fish and Wildlife Service and Federal Railroad Administration have signed a rangewide informal programmatic consultation for the Indiana bat and northern long-eared bat under the Endangered Species Act. The programmatic consultation, the result of an interagency effort to both preserve endangered species and expedite infrastructure development, involves transportation projects in 38 states and the District of Columbia, where the bats are found. It’s the nation’s largest-scale transportation-related programmatic approach under the Endangered Species Act. Section 7 of the act requires federal agencies to conserve listed species and consult on any action, such as highway construction, that may affect those species. In addition to contributing to conservation of the Indiana and northern long-eared bats, the programmatic consultation is designed to provide more predictable consultations, reduce staff workload, save money and accelerate project delivery. Programmatic agreements, part of the first and second rounds of Every Day Counts, establish streamlined approaches for handling routine environmental requirements on common project types. They focus on increasing the efficiency and effectiveness of the highway development process while maintaining appropriate consideration of the environment. For a summary of the actions the informal programmatic consultation applies to and avoidance and minimization measures it includes, see User’s Guide for the Rangewide Programmatic Information Consultation for Indiana Bat and Northern Long-Eared Bat. The District Department of Transportation is using geosynthetic reinforced soil-integrated bridge system technology for the first time on its project to replace the 27th Street Bridge in Washington, D.C. The project received a grant from the Federal Highway Administration’s Highways for LIFE program to use innovation. The District DOT is planning a summer showcase to demonstrate the use of GRS-IBS to transportation professionals. Construction is expected to last 70 days, with completion scheduled for September 2015. The city of Concord, New Hampshire, broke ground on its Main Street project, which incorporates a roadway configuration known as a road diet. The $11.6 million project includes $4.7 million in U.S. Department of Transportation TIGER funds. The project, New Hampshire’s first to use the construction manager/general contractor delivery method, is designed to improve safety, reduce congestion, enhance multimodal access and promote economic vitality in the area. The Snohomish County Public Works Department and Washington State Department of Transportation received the American Public Works Association’s first President’s Special Recognition Award for the design-build project to reconstruct a section of State Route 530. The road, damaged in March 2014 in a massive mudslide, reopened ahead of schedule in September 2014. The local APWA chapter gave the SR 530 rebuild its 2015 Project of the Year Award in the Disaster/Emergency Construction Report category. Looking for results on innovation use? Highways for LIFE demonstration project reports show how highway agencies tried proven but not widely used innovations to boost safety and quality while speeding construction and minimizing impact on travelers. FHWA has added new reports to its collection of documents summarizing construction details, performance metrics and lessons learned on projects featuring innovations such as accelerated bridge construction, precast concrete pavement systems and new contracting methods. FHWA provided $75 million for Highways for LIFE projects under the Safe, Accountable, Flexible, Efficient Transportation Equity Act: A Legacy for Users. FHWA has also published reports on recent Accelerated Innovation Deployment Demonstration program projects in Michigan and South Dakota.